I'm working on the Mug Rug Swap, the Doll Quilt Swap, and a few last LATE Christmas gifts! Right now I am playing with half square triangles and I make 45 pinwheel blocks last night. This morning I lay in bed pondering different ways to set them. Lovely, Lollipop, It's a Hoot, Giddy, Fresh Flowers, Hoopla, Max & Whiskers...how can I choose a favorite? Impossible! Ok, I'll pick Makin' New Friends! I think my favorite bundle is Chrysalis by Sanae. I love those colors! Shop Newsletter signup - check! I am working on the Postage stamp quilt a long with PS I quilt!! Love the fresh flowers fat quarter bundle!! Had daisies as my wedding bouquet. Will defineatly be making something with Fresh flowers!! I am working on a quilt with Castle Peeps for a friend that is expecting a baby a the end of this month. No project I am working on right now. I follow Green Fairy Quilts already. Love her! I just signed up for her shop newsletter. I am already a follower on Judi's Blog. Love her quilting, it is stunning! I'm a follower at Green Fairy! 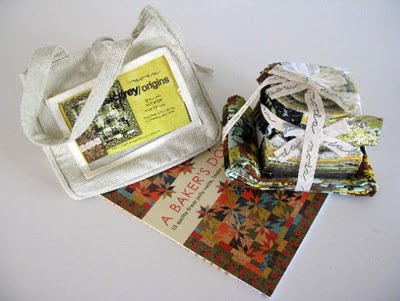 I now follow her blog as Heather M.
I like the Oasis or the Bliss FQ bundles the best. What a fantastic blog. I'm a follower now. Gorgeous quilting, I'm in awe! If I can favorite a bundle that isn't out yet, then it's Sherbet Pips. I grow weak in the knees thinking about getting my hands on some Pips. Otherwise, I love the colors in Hoopla and Giddy and Dilly Dally. All gorgeous. Ma favorite Fat Quarter Bundles is Origins bye Moda ! Hi, I'm finishing 2 table runners from the great,Be Mine Blog Tour. It nwas great I really enjoyed it.Thanks for the chance:) I don't know if I'm set to no-reply, so my e-mail is tpott@optonline.net Thanks again!!! Entry #1: I am working on 3 projects right now - a Pay It Forward for Facebook, January blocks for the Block Lotto quilt, and a comfort quilt for a co-worker's middle school age daughter who suffered a pretty serious injury to her foot in December that required surgery and several months of recovery. Entry #2 - I've signed up to be a follower on Green Fairy Quilts blog. OK did steps one to five. My current project is binding a hexagonal block quilt. I love Chrysalis by Sanae. Keeping my fingers crossed. I'm starting a Dresden Plate quilt for my wedding next year! Entry #3: My favorite fat quarter bundle is the Max & Whiskers line. It's really cute fabric! I'm already a follower at Green Fairy Quilts! Entry #4: I've signed up for the newsletter! My favorite bundle is between the Bliss flannels and Fresh Flowers. I just signed up for your newsletter. I'm so glad I found your website, so much to see! 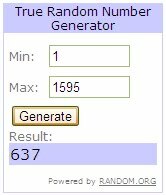 Entry #5 - I've blogged about the giveaway! I already follow Green Fairy quilts blog! My favorite bundle at the moment is Hoopla - a lot of great fabrics in it, especially the Ombre style dots! I receive the GF newsletter - great selection and deals! My favorite bundle is Max and Whiskers, too cute! I get the newsletter already too! I am working on some cushions to finish! Great give away! I'm piecing a quilt for a lady with cancer right now - I hope to finish the top today! I think today my favorite fat quarter bundle is Chrysalis - those oranges and blues are really speaking to me! I've been a follower of Green Fairy Quilts for quite a while now - I love looking at her quilting! I am already a follower of the Green Fairy Quilts blog! And I've been getting their newsletter for a while, too! I am a Green Fairy Blog Follower already! I am working on a bunch of flickr swaps and a halloween quilt that has been in my UFO pile for nearly a year! Yay for finishing UFOs! Thanks for the fun contest! I just started the 5$ block of the month with my local shop. I am working on a basket block!! And I did sign up for the newsletter! Thanks again! and I now follow Green Fairy Quilts! I am working on wonky letters and valentines mini quilts. I just finished a quilt and will be starting on a quilt for our quilt guild's challenge! I like the Holly Taylor Classic collection- I have been looking for fabric for my littel boys quilt and this would grreat! I'm working on a camping quilt for us to take out this spring! My favorite of the fat quarter bundles is probably Bliss! I became a follower of Green Fairy!! I would love to be able to pick up a FQ bundle of Lily and Will or Oasis right now! Those are just gorgeous and I am in the mood for something beautiful, not funky! I am working on a quilt on a stick right now for my guild. Really not a fan of it, but have plans to start some other quilts soon! I signed up to get her newsletter, as well! I made sure your giveaway was poste on my FB!! Right now I've got two projects on the go. We're ditching the paper wrapping paper so I'm sewing a variety of sizes and styles of gift bags. And the second project I started two days ago when I read an appeal for quilt blocks for making quilts to be given to the victims of the terrible flooding in Australia. The lady organizing it is asking for quilt-as-you-go blocks. And I have to say these are so much fun and it's using up lots of strips and bits and pieces leftover from other projects. Love that shop. Am having quite the addiction with precuts lately. Am working currently on a moda bake shop recipe with charlevoix !!!! I am working on a small quilt to giveaway as part of the diaper raffle at my baby shower in February! I'm working on a fun quilt from "Layer Cake, Jelly Roll and Charm Quilts", called Jitterbug. I'm using some fun Mary Engelbreit fabrics. Just wanted to do something easy and bright to lift the winter blahs. Right now, I have about three projects in various stages of non-completion, but my favorite and #1 to finish is the "Salt, Pepper and a Dash of Spice." It is in black & white fabrics with a splash of red. Love it! PRESENT PROJECT IS A CHRISTMAS TABLE TOPPER-RED-CREAM-OLIVE-ALMOST DONE! I'm a follower of Green Fairy, it's a cute blog! I only happened to see it a couple of days ago for the first time. New follower here - wow! She is so amazing! How DOES she do it all? FAVORITE FQB IS 'DILLY DALLY'! THANKS FOR SHARING SUCH A NEAT GIVEAWAY! I am a Green Fairy Quilts follower! I love her quilting projects. I'm always SO impressed! And I signed up for Green Fairy's newsletter today. Looks like she's gonna have tons of new traffic, good!!! I am working on the Amy Butler Sunshine Quilt using left over daisy chain, midwest modern, and some new soul blossoms fabric. Dilly Dally is definitely my favorite! How could I resist my FAVORITE bright colors - Hot pink, Lime Green, Turquoise & Blue???!!! I receive Judi's newsletter and it cost me money (*wink, wink*)!! She has some great sales on her pre-cuts and I just couldn't resist last week!! I am trying to create some linen personalized bib and burp sets for some friends who just had babies. I am working on a quilt for my husband. That is as soon as I clean the craft room so that I can get to my sewing machine again. I love Green Fairy quilts and have been a follower for quite some time! Her quilting is amazing and I check quite frequently hoping that she has posted pictures of her latest finished quilt! I am following Green Fairy Quilts blog via google friends. Bliss Flannel Bundle is my favorite....I LOVE IT! I love Green Fairy and I get their newsletter! I am currently working on several projects: a fallish tablerunner for my grandma, a st. patrick's day tablerunner for me, and the birdie stitches BOM quilt and pillow set. I'm working on a scrap quilt using 2 1/2" squares. The fabric looks wonderful. Right now I am working to finish a Santa Faces quilt that I started several years ago. I finished piecing it right before Thanksgiving but didn't get it quilted. 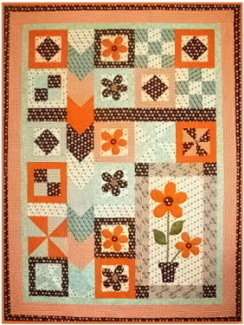 The pattern is from a book by Nancy Halvorsen. 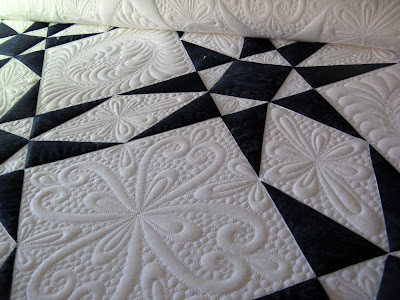 I just visited Judi's blog and was blown away by her quilting talent. Beautiful bundles - how to pick one as a favorite?? Dilly Dally and Fresh Flowers are gorgeous, but so are Clermont Farms and Kansas Troubles! Which one, which one? I guess I'll have to say . . . er, well, um . . . can I cheat and say any of the above??? I am currently working on making Potato bags and a silver and red zig zag quilt for my 2nd daughter. I am working on finishing all my quilts that are going in the upcoming local show--hanging sleeves and labels, mostly! I also signed up for her email list! 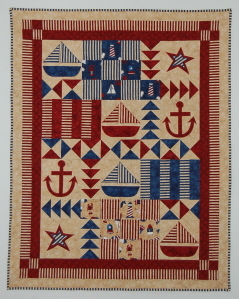 I am starting back at my quilt class tonight. I am a beginner...have only made one quilt and I believe I will be starting on a Friendship Star Pattern tonight. Would love to win this bundle!! 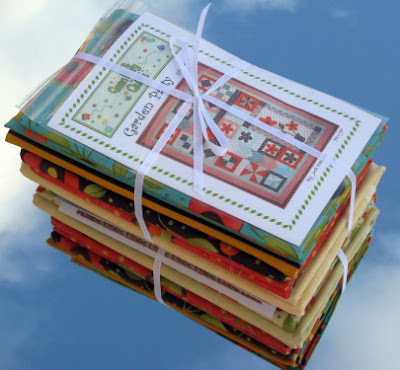 Oh, there are lots to choose from, but my favorite fat quarter packs are bliss and it's a hoot. I am now a follower of the Green Fairy Quilts blog. I posted it on my facebook page! I like the "Max and Whiskers" bundle! How adorable! My favorite bundle is Giddy by Moda. I saw the fabric in a local quilt shop over the weekend and fell in love with it! I have several projects going on :) as usual. But I have a quilt going for my daughter's 14th bday in April! #1 I just finished a Three Little Pigs quilt top for the newest baby Harmon. Waiting to see if boy or girl before choosing backing. WV: xestic: how I'll feel if I win this FQ bundle. I got all xestic when I heard that I'd one! It is so hard to pick my favorite bundle. It is a tossup between "Dilly Dally", Remembrance", and "Giddy". I'm working on FMQing a great pink and orange quilt - now that I have a new spool of thread I should be able to finish it this week - yay! Thank you for the giveaway! Favorite bundles are Max and Whiskers and Origins by Basic Grey soooo CUTE! Im working on this months block for the Let's Bee together and a present for my sisters birthday. I do subscribe to the shops' newsletter. I love the Max & Whiskers FQ bundle! Great selection! #2 I tweeted about the giveaway. WV: smelethe: Old spelling for "smell." I think I smelethe dirty feet. im working on a swap for our modern quilt guild Feb meeting ! I have subscribed to the blog - love having a new crafty blog to follow! Its a Hoot, Punctuatin, and Haunted Mansion and it would probably be easier to just list the ones I dont like. LOL! Right now I am working on cutting out 2 1/2 inch strips for PS I quilt's Postage stamp quilt along. I'm using up stash in pinks and oranges. and I am working on a wedding quilt for my nephew right now. It is king sized and will be hand quilted, so I hope I manage to get it done in time! Oooo - that Dilly Dally is so FUN! I am between projects right now - technically my current 'project' is cleaning up and organizing the craft room! My next sewing project will be a Charming Stars quilt (from the Moda Bake Shop). I already follow the Green Fairy blog on my Google Reader. My favorite FQ pack in that store right now is the Bliss Flannel - AND i already bought it from there! It is waiting patiently for a baby quilt project later this year. i am a follower of the wonderful Green Fairy blog ! #3 I just signed up for your newsletter! WV: rehealis - ripping out stitches for the second time on the same seam because you sewed it the wrong way. Twice. This needs to be rehealised because I made the same dumb mistake twice. I get the Green Fairy newsletter in my email! I have to pick just one fat quarter bundle?? That's hard. I love Giddy. Love it. One of many is our quilter bees bom from 2010. I'm adding the borders today. Lovin' the fat quarters. ANNNNDDd....I just signed up for the newsletter! Beautiful bundle! One of the projects I am working on is a queen size quilt for the guest bedroom...Meadow Sweet 2 fabric. 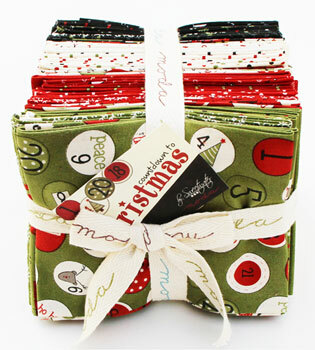 #4 My favorite bundle is Hoopla by Moda, but love the Dilly Dally, too! Tomorrow, I may valect to start a new sewing project. the newsletter is on the way ! I'm already a Green Fairy Quilts Follower! #5 I follow the blog! And I get her newsletter via email! Delightful blog...so glad you showed this to us! I love Kate Spain's Central Park bundle! Just one thing I'm working on? LOL. The most recent is Simple City by Miss Rosie, and a quilt in Pure for my husband. The FQ pack favorite is tough - I'd say Origins by Basic Grey. I'm working on some little baby blankets for a baby shower gift. Right now I have no projects on the go! I'm waiting for my copy of Camille's book so I can get started on something new!